This Swiss Avenue home by architect Everett Welch was built in 1913 in the Swiss Avenue Historic District. 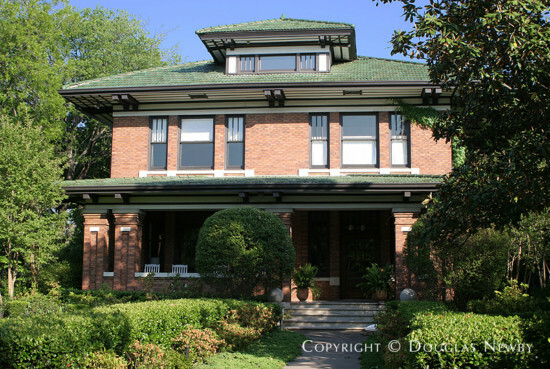 This historic home has a pale brick exterior and green tiled roof as well as a shaded front porch. "Munger Place is the origin of all great Dallas architecture."